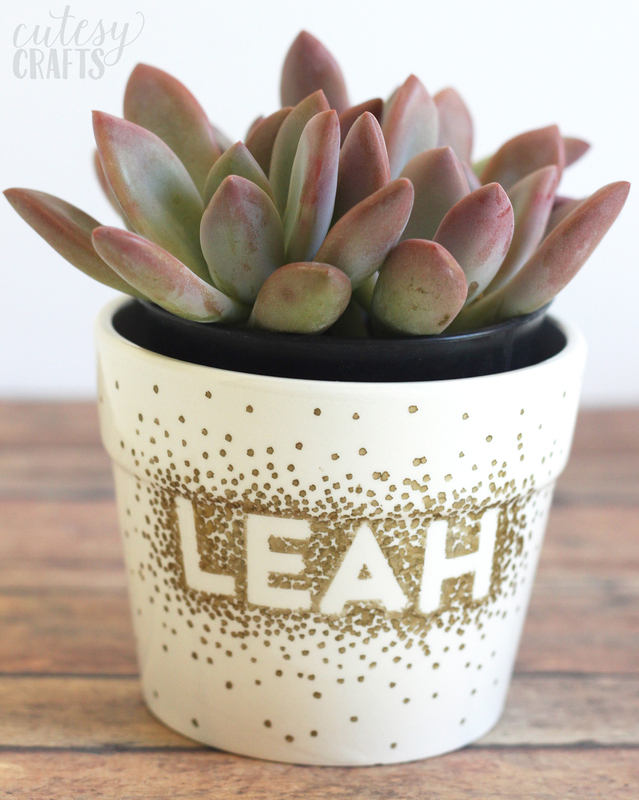 Home / Crafts / Everyday / Sharpie Flower Pot Craft in Three Easy Steps! 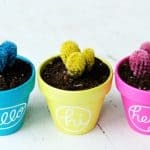 Sharpie Flower Pot Craft in Three Easy Steps! 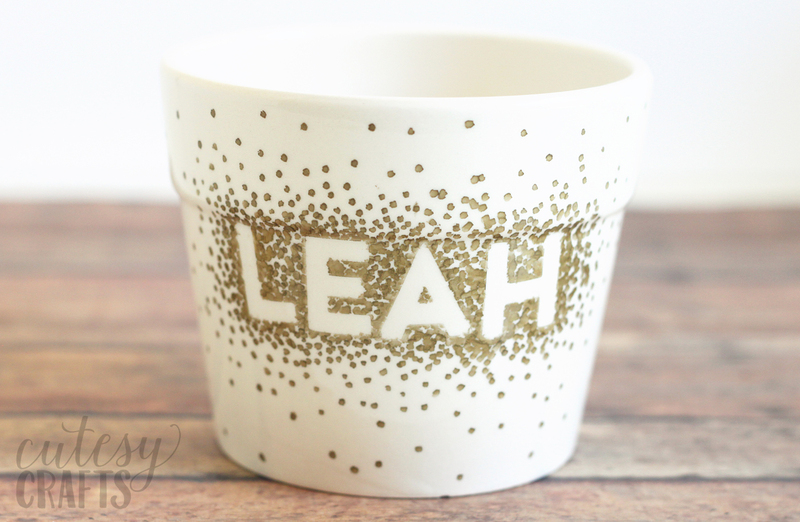 Use a Sharpie to make dots in this unique flower pot craft! It’s so easy that it’s great for kids, for teens, and for adults. . . you just need a few simple supplies. 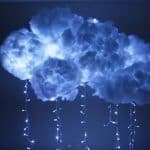 It’s really easy and you don’t need any craft skills to do it. Be sure to watch the video at the end of this post to see the process in action! We’re on our second month of summer vacation, and my kids are bored! 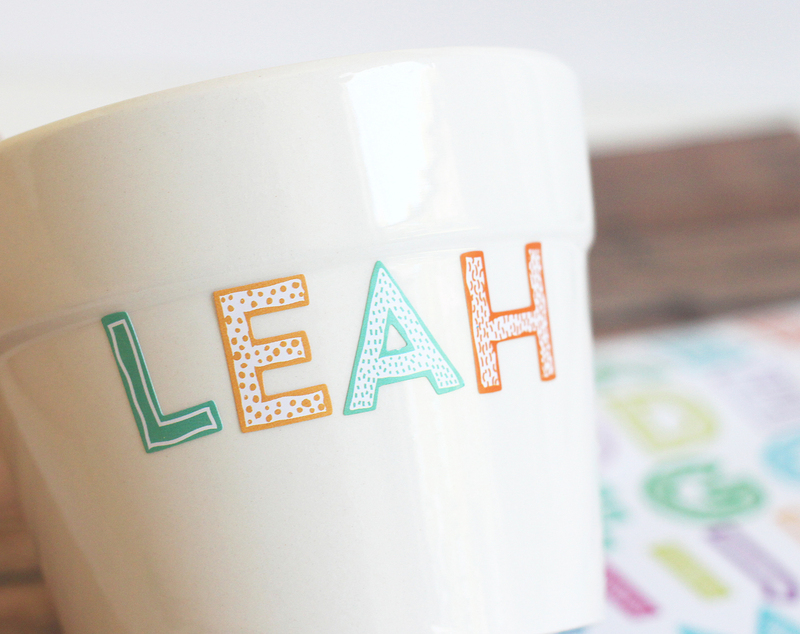 I’ve been trying to come up with fun crafts and activities to keep them busy during the day, so we made these cute little Sharpie dot flower pots. I’ve seen this technique used to decorate ceramic mugs, and I thought it would look really cute on a flower pot. 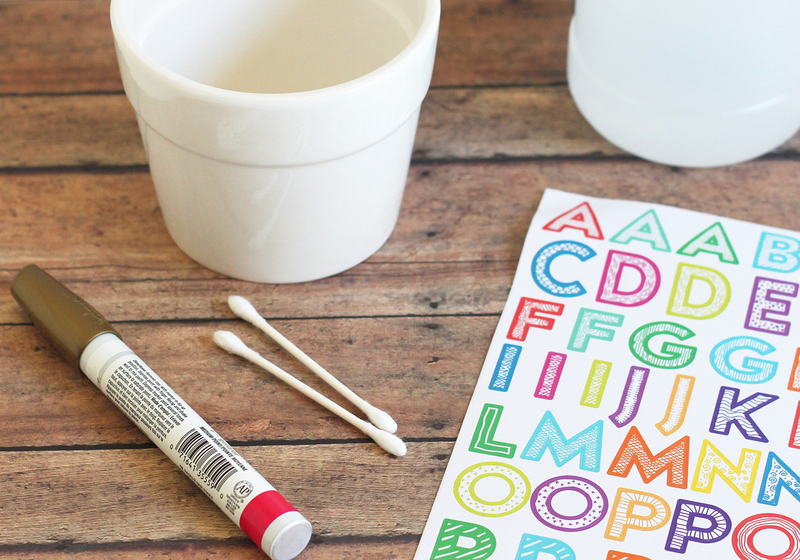 This flower pot craft is so easy, and all you need are letter stickers and an oil-based Sharpie. 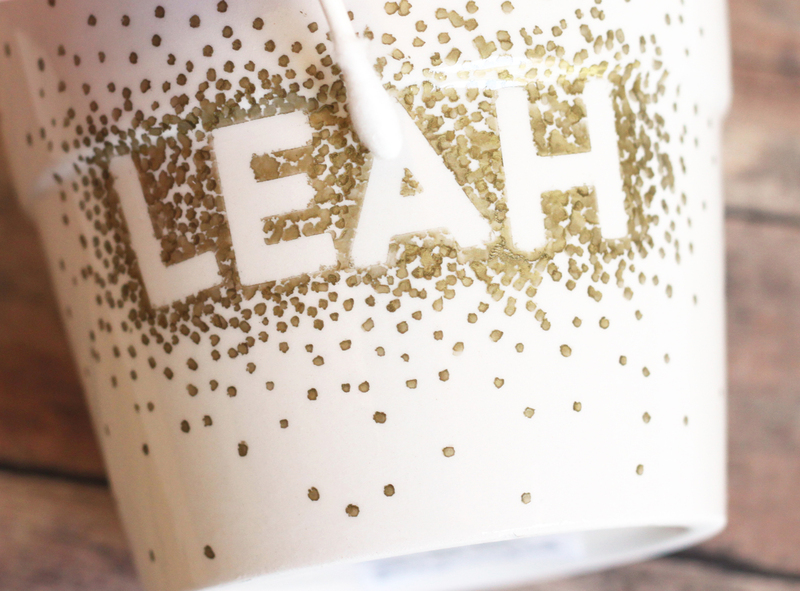 The kids can spell out their own names, or the name of a teacher or friend to give as a gift. 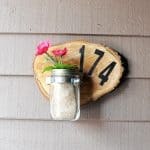 You could even spell out the names of different herbs and use them to make a little herb garden! 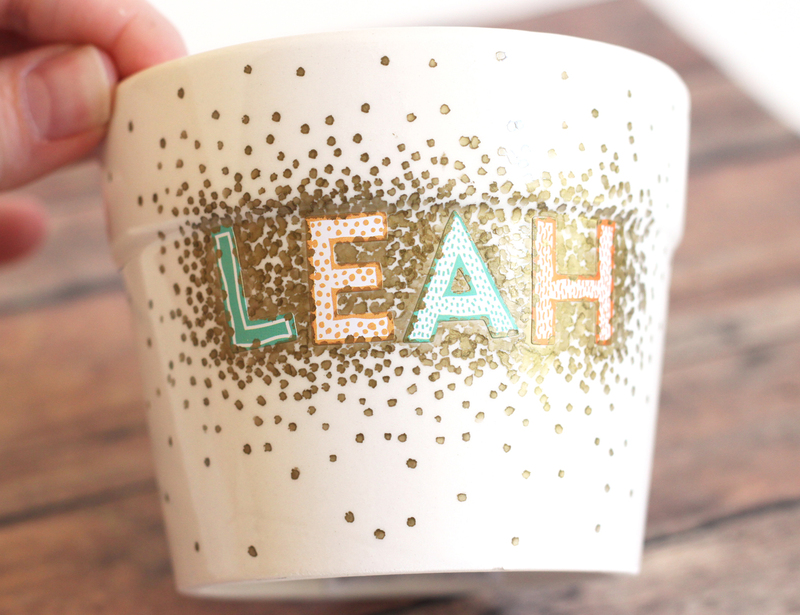 Place the letter stickers on your pot to spell a name or word. You could use some fun shape stickers for this part as well! 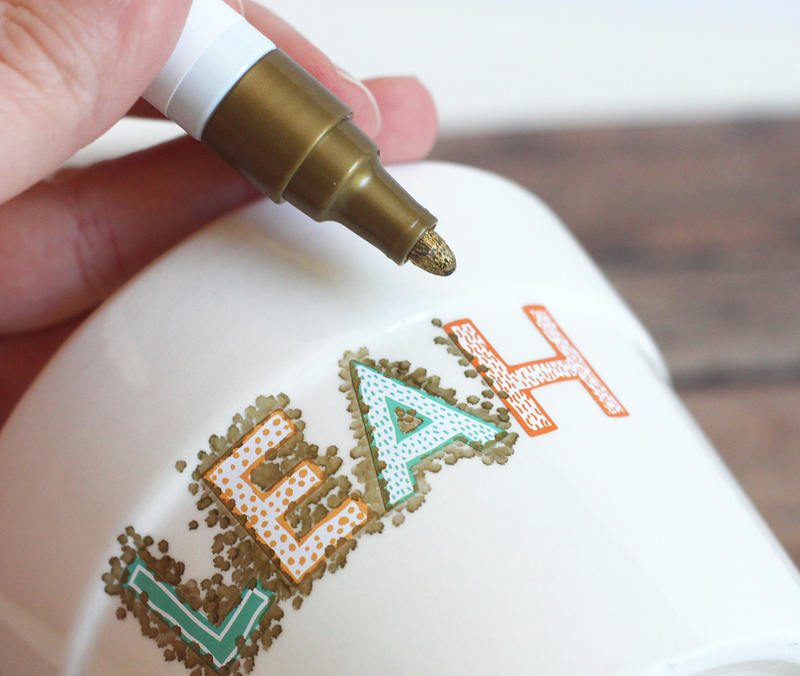 Use your Sharpie to make dots all around the letters. Make the dots close together around the stickers, and fade them out as you get further away. You can use one color like we did or have fun with a bunch of different colors. 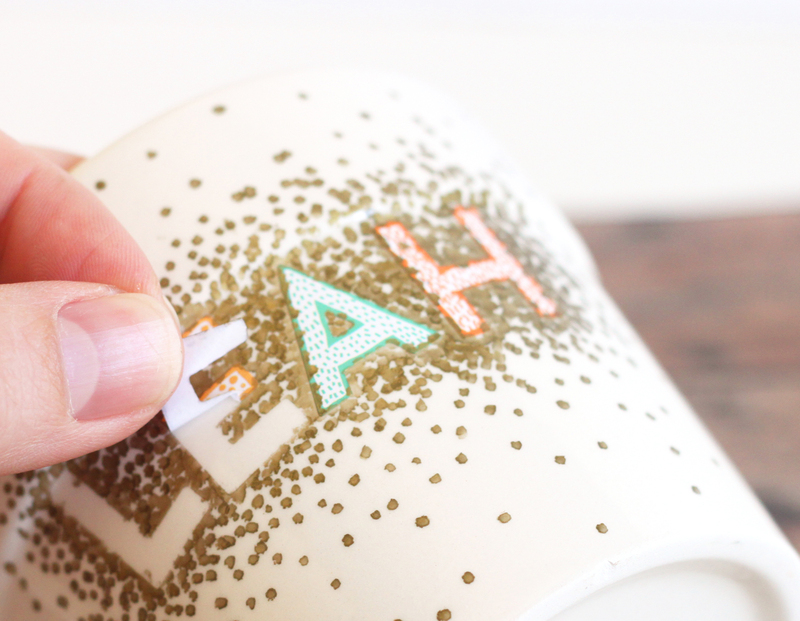 Make sure the ink is completely dry and then peel off the stickers. If there were any spots that the ink leaked under the stickers, just wipe it off with a little rubbing alcohol on a cotton swab. 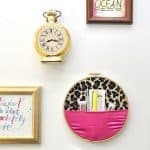 And you’re done with your flower pot craft! Easy right?! 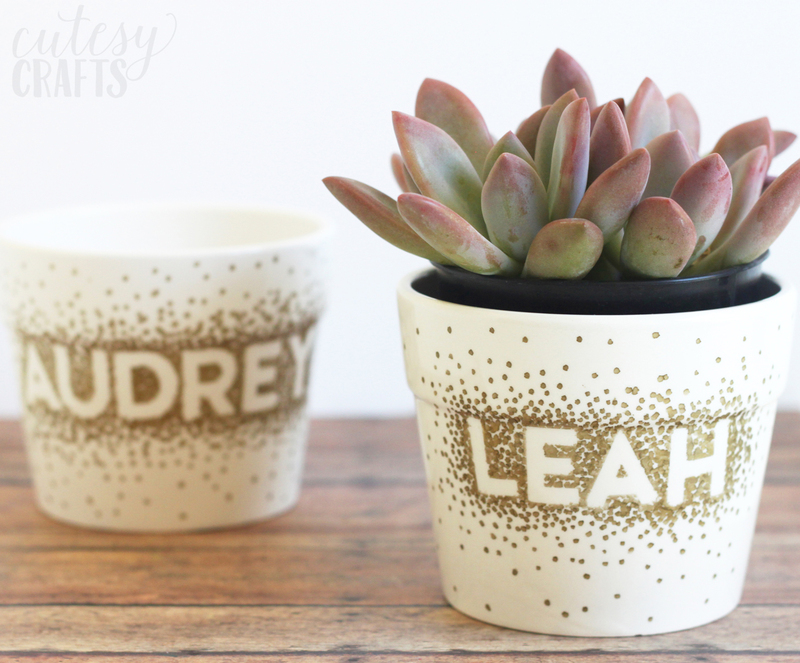 We put some pretty succulents in our pots, that are perfect for our hot California summer. Hopefully we finally have something that will survive since I’m not great at watering things. 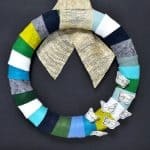 For more crafts like this, visit my blog, Cutesy Crafts. You can also find me on Facebook, Twitter, Instagram and Pinterest. Lovely idea….must try it. I’m wondering what else we could use that technique on. Plaque name on their bedroom door? That’s a great idea! If you make it, please share it will me! I’d love to see.